The Who’s defining, breakthrough concept album – a full-blown rock opera about a deaf, dumb and blind boy that launched the band to international superstardom, written almost entirely by Pete Townshend is now available as a new LIMITED EDITION Super Deluxe version that that includes 4 audio discs, an 80 page hardback book and a poster. 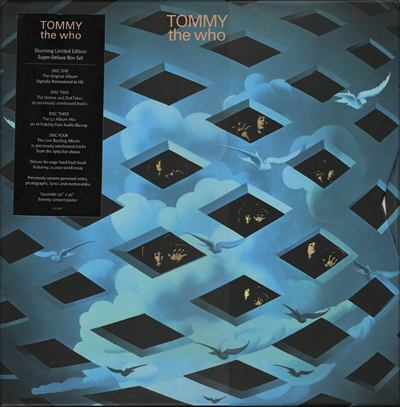 The audio features the original album re-mastered along with a wealth of previously unheard material in the form of 20 demos from Pete Townshend’s archive and also a full live performance of Tommy from 1969 taken from tapes that infamously Townshend asked the band’s sound engineer to burn. 18 of the previously unheard and thought to be long lost live tracks are taken from a live show at the Capital Theatre, Ottowa, Canada on October the 15th 1969. 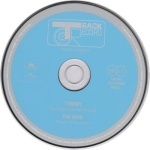 Three others, ‘I’m Free,’ ‘Tommy’s Holiday Camp,’ and ‘We’re Not Gonna Take It’ were lost due to tape reels being changed during the show so are taken from later shows of the same era. As discussed at length in Pete Townshend’s autobiography the tapes were all supposed to be destroyed but were kept by long time Who sound man Bob Pridden despite Pete’s instructions. The Super Deluxe box also features a 5.1 mix featuring the complete album remixed in surround sound on new Hi Fidelity Pure Audio Blu-ray format.